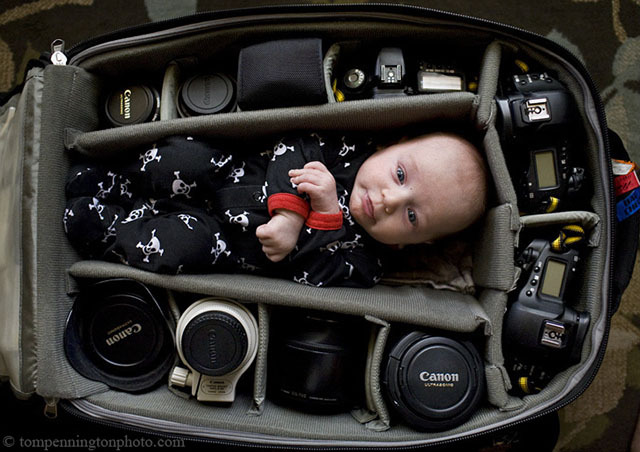 The photos are definitely cute (are there even any baby photos that aren’t? 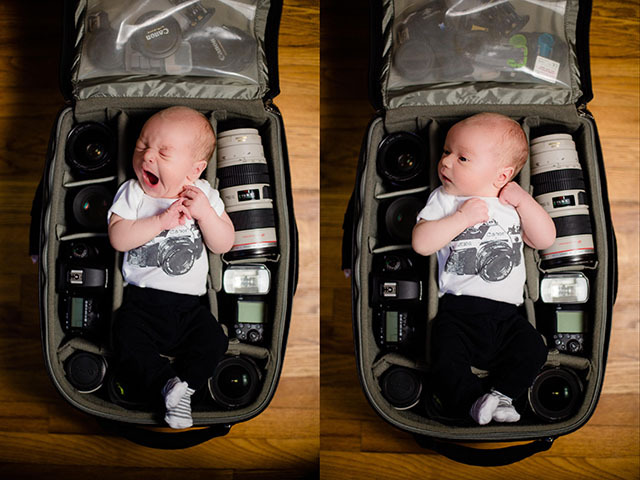 ), however, they do not make me grin the same way the baby-mugging photos did. 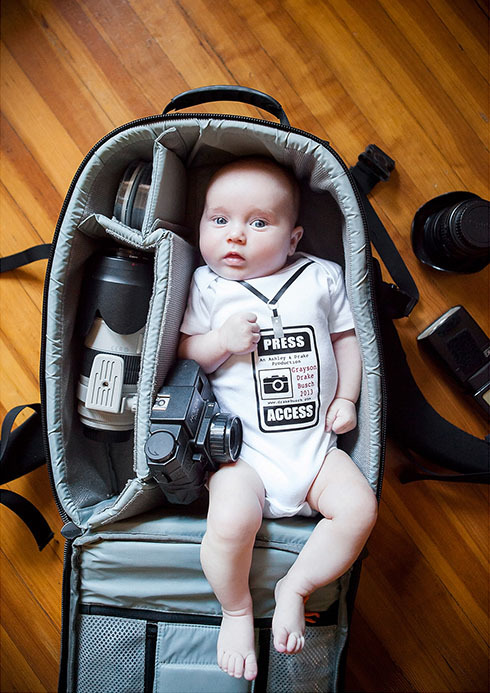 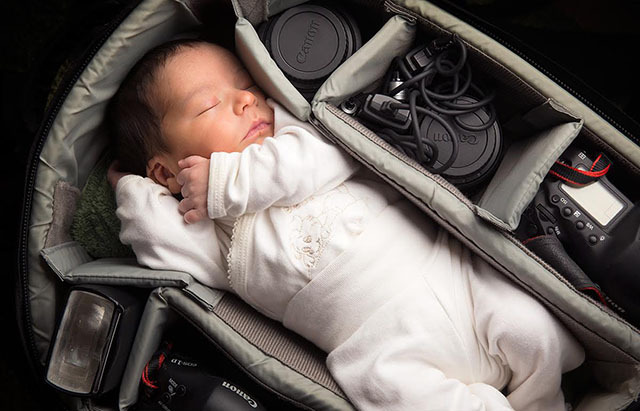 It could be that the baby mugging shots were much more playful and came across as much more spontaneous, while the baby-in-photo-equipment-bag photos all seem much more thought through and emotionless. 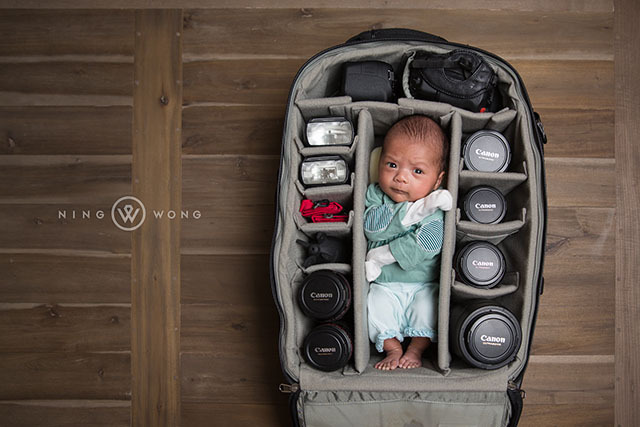 What do you prefer, baby mugging or the pictures shown here?